Rarely exists something at Fry Lodge that is agreeable to every member of the Fry Family Quartet at the same time. 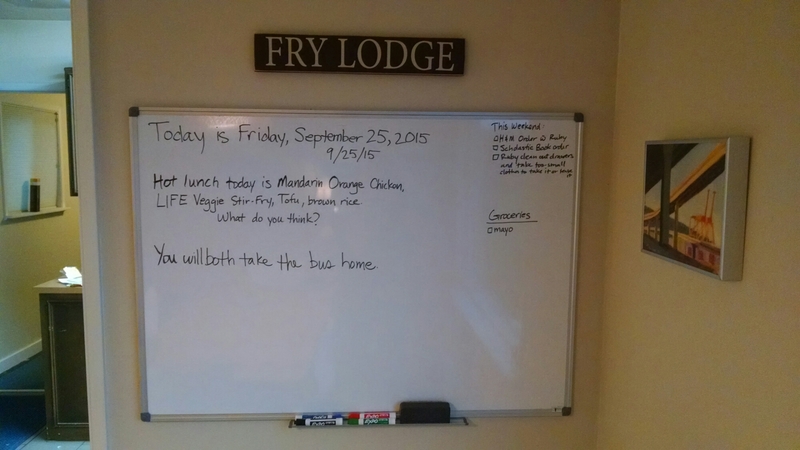 Our new whiteboard is the exception. We make lists, draw funny pictures, use it as visual aid in conversation, leave notes for each other and post quotes of the day. Who knew a 3-foot by 2-foot rectangle could lead to such harmony?